Patrick’s captivity lasted until he was twenty, when he escaped after having a dream from God in which he was told to leave Ireland by going to the coast. There he found some sailors who took him back to Britain and was reunited with his family. Patrick arrived in Slane, Ireland on March 25, 433. There are several legends about what happened next, with the most prominent claiming he met the chieftan of one of the druid tribes, who tried to kill him. After an intervention from God, Patrick was able to convert the chieftain and preach the Gospel throughout Ireland. He often used shamrocks to explain the Holy Trinity and entire kingdoms were eventually converted to Christianity after hearing Patrick’s message. 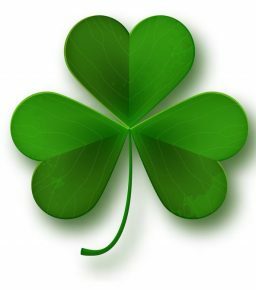 So when you see a shamrock, say a prayer of thanks for God our Father, God His Son, Jesus, and God, our Guiding Holy Spirit. Have a Super Saturday!